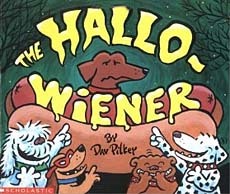 We love reading The Hallo-Wiener each Halloween season. 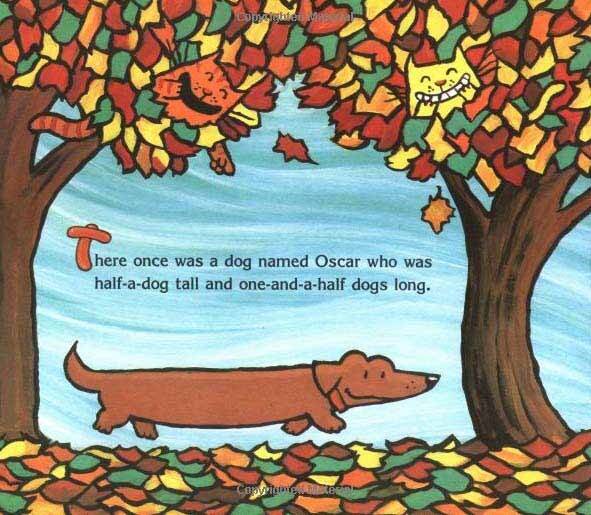 The kids can't help but immediately fall in love with little Oscar, the dachshund hero of the book! Oscar is tired of being made of by the other dogs. The criticism gets worse when he shows up to trick-or-treat wearing a hot-dog costume, but one brave act shows what a hero he really is! In a starred review, Publisher's Weekly called it a fun "pun-o-rama." So true. :) If you know Dav Pilkey's books, you won't be disappointed by this title! This book was a School Library Journal Best Book of the Year for 1999. Below are two sample pages from inside this adorable book. 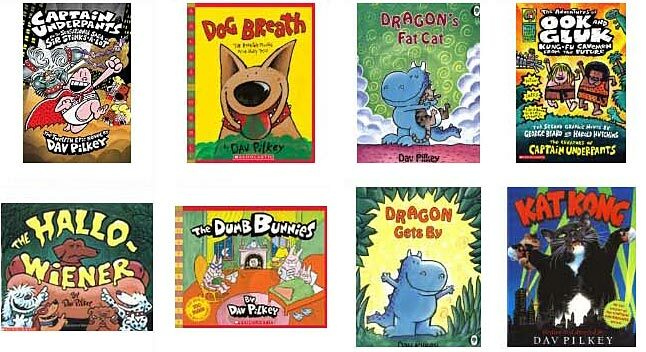 We love the fall colors and the classic Dav Pilkey illustrations! (If you don't yet know Dav Pilkey, he's the author illustrator of the wildly popular Captain Underpants series and the super funny Dumb Bunny books. The prompt they recommend on the site has children describing the little wiener dog. However, you could really adjust the prompt to fit a number of different topics/reader responses! 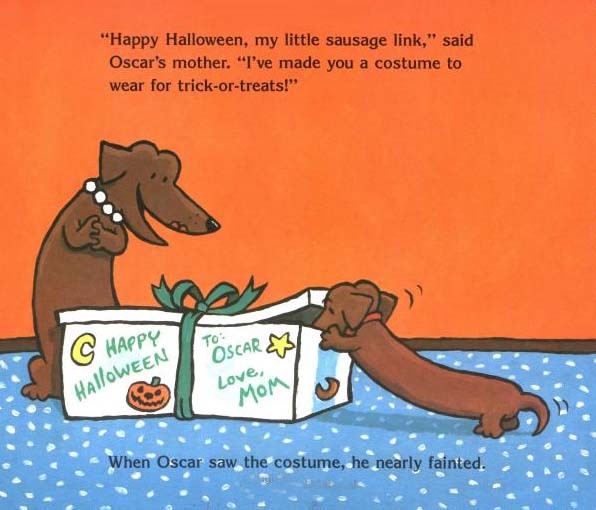 Or... check out more books from our best Halloween kids books list?